Hello and welcome to my online portfolio! I'm a graduate from the University of Wisconsin - Milwaukee with a double major in Computer Engineering and Computer Science and a General Business minor. I have many hobbies and interests including electronics, microcontrollers, photography, web development, programming, computer networking / assembly / deployment, working on my car / electric motorcycle / scooter, golfing, cooking and expanding my knowledge on all things computer and tech related. Click on a project to view details! Barefoot International & Fly High Mfg. 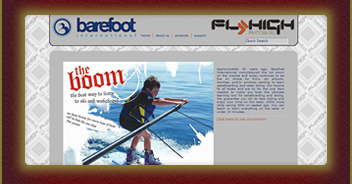 Barefoot International & Fly High Wake Boarding Mfg. offers consumers a line of superior products developed through careful research and testing. While at work for Barefoot International & Fly High Mfg., I single-handedly converted their static website to deliver dynamic content using PHP and MySQL. Along with this conversion, I added Administrator, Dealer and Represintative Portals to the website for easy access to needed information by each party. While doing all of this, I did two basic site redesigns to give the viewers a cleaner browsing experience. I also created several informative documents for customers, dealers, and other office personal. I personally recommended that the office get UPS backup battery solutions on their main office computers and servers, and upon recieving them I was in charge of installing and configuring them. I played a major role in chosing a new hosting company, and when switching hosting companies, ensuring the website was down for as minimal a period as possible. I've also upgraded the entire sound system myself for significantly improved sound quality. 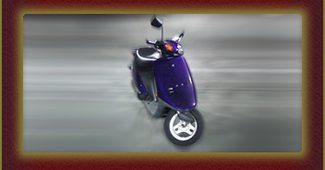 I've currently pulled the scooter off the road as it needs a new top end; until I can find one for a resonable price - or decide I want to go all out - I've decided to not ride it to prevent any damage or wear. After going to a local EV car group, I was inspired to create my own. 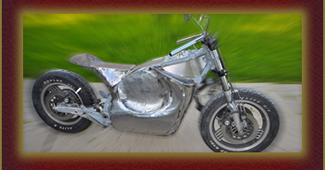 One of the members said that they had a motorcycle frame they'd be willing to give to me for my first conversion. It was a 1983 Yamaha Venture 1200cc that is currently being converted into an electric motorcycle. The frame has been stretched to accommodate the batteries and the battery trays and motor mount were fabricated from scrap pieces of metal. An aluminum plate holds the fuse, shunt, and Open ReVolt motor controller (seen below); a 200V 1000A industrial switch is used as the main contactor. The premise of the project is to create an EV at the minimal cost; most parts are recycled or scrap parts from junked industrial machinery. After experiencing failure with 2 used DC motor controllers, my friend Ben Nelson mentioned I should consider the Open ReVolt. The Open ReVolt Motor Controller is an open source PWM-type DC motor controller. The controller was designed by Paul and Sabrina who were kind enough to send me a big box of electrical components for me to assemble. The parts were for a 700 Amp version of their 500 Amp controller; this upgrade in amperage is enough to power a small pickup truck, let alone my motorcycle. Assembling this motor controller was my first large soldering project, and thanks to my friend Tom G, I succeeded without any problems. These battery monitors were designed to measure the voltage of up to 4 batteries and are able to have their power input/output daisy chained together. My friend Tom G designed these units from the ground up; I merely helped him assemble several of them. This was my first encounter with surface mount parts, teaching me the process and patience needed when working with these types of components. The purpose of this was to extract the very powerful magnets (not seen in picture) found inside hard drives. 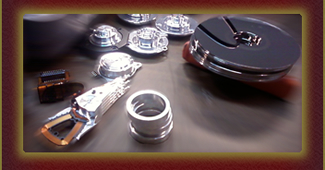 I also came out with some pretty cool parts; especially the platters, which are incredibly reflective. I've always loved tearing things apart to learn and understand how their internals worked; this was yet another opportunity for me. Because of tearing a few old hard drives apart, I now know and understand even more about hard drives then before. Plus, who doesn't love magnets? I've built two computers for myself from the ground up, and assembled many more. The first computer I built (in 2005) was used mainly for gaming and school work, as well as a basic web server for local development and testing. The second computer I built (in 2008) is still in use as my main workstation. 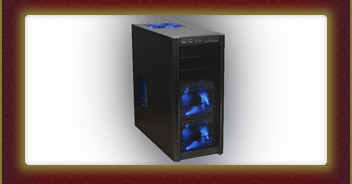 I use it for school, work, development, and a workstation for virtual machines. I also own two laptops - a Lenovo T520 laptop, and a Google CR-48 (a limited release prototype of their Chromebook series) - and several other older computers; I use them for various servers and hardware firewalls. The first two were created to automatically log the user into their accounts at both UWM and RIT. This was originally made for UWM, then a second created for RIT because a good friend liked it so much, that when they went to Grad School at RIT, they asked I make a version for RIT...done! The third one was made to help automate my browsing of the site Instructables; I hated manually typing "?ALLSTPES" at the end of each Instructable I opened from my email, so I wrote this script to automate the process for me! LinkedIn is a business-oriented social networking service mainly used for professional networking. Cerner Corporation is a global supplier of health care IT solutions including software, services and hardware. Build and configure servers including RAID configuration, operating system installation, package installation and NIC bonding. Stage devices including PDA scanners, Thin Clients, Connectivity Engines, RoomLinks and myStation set top boxes. Create Google Chrome extension to improve team workflow by visual alerts, reducing duplicate data entry, and automatic generation of multiple emails for an improved and consistent workflow. Designed and implemented a imaging network with VMWare ESXi used to PXE boot CloneZilla in order to image hundreds of devices from a master image created from CloneZilla. 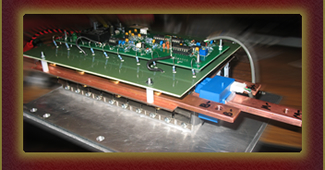 Astronautics Corporation of America ia a global leader in the design, development, manufacture, and integration of state-of-the-art equipment, electronics, and systems for air, space, land, and sea applications. Worked on a state-of-the-art Network Server System for Airbus' A400M Military Aircraft. Lead a small group of 3 engineers in the dry-running procedures for the Installation Service team. Performed dry-runs on test procedures prior to formal verificatino campaign on the Systems team. Executed formal verification and testing staying ahead of schedule resulting in a successful, on-time delivery. Barefoot International & Fly High Mfg. 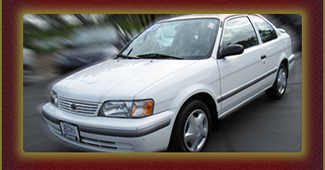 offers consumers a line of superior products developed through careful research and testing. Developed and executed network infastructure upgrade resulting in cleaner network cabling and minimal downtime. Planned and implemented web presence with dynamic content featuring access portals for backend management. Effectively enriched dealer retention while altering 33% of dealers to higher pricing tiers thus reducing loss of revenue. Created, managed and updated catalogs, price sheets, product photos, descriptions and documentation. Deployed UPS backups to computers and mission-critical servers; computer cleaning, maintenance, and updating. Served as the exclusive on-campus representative for Microsoft. Performed product demonstrations and build brand awareness for Microsoft on-campus and in the local community. Enhanced students' employability and increase students' awareness of Microsoft technologies. Planned events, demonstrate some of the latest Microsoft technology to students and partner with student organizations. A backend management and report center of log files for numerous kiosk Internet machines. 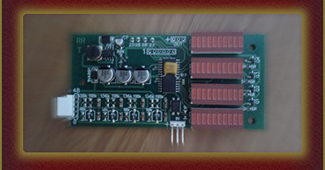 Familiarity with EDA Tools such as EAGLE PCB, T-Tech IsoPro, and LTSpice. Requirements Tracking tools such as IBM DOORS and Merant Tracker. Basic Understanding of CAD concepts using tools such as AutoCAD and SketchUp. 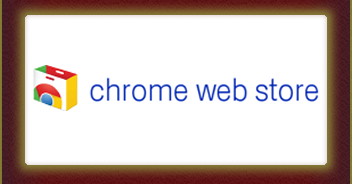 Familiarity with Windows; Systems administration in Linux; Basic knowledge of Mac OSX and ChromeOS. Familiarty with OOP concepts in C/C++, Java, and Python. If you're interested in anything you see on the webpage, please don't hesitate to contact me with any questions, comments, and feedback. The best way to get a hold of me is via email(using the form above).